Yesterday I was lucky enough to be part of a day-long workshop for the brand-spankin’-newNortheast and Atlantic Canada Environmental History Forum (yes, we probably will need a neater acronym), sponsored in part by NiCHE and HEAR. About forty people – including NiCHE members Alan MacEachern, Neil Forkey, Rob Gee, Matthew Hatvany, and head organizer Brian (“Man of Steel”) Payne – gathered at the statelyMassachusetts Historical Society, with 18thC portraits looming over the circular staircase and marble floors, to discuss about ten pre-circulated papers that ranged from the environment of upstate New York during the Revolutionary War, to the rhetoric of health and patriotism invested in New England milk marketing in the early 20th century; from the “Miramichi” fire (which, it turns out, burned far beyond New Brunswick) to forest and land regimes in the Adirondacks, from recovered rivers in Maine to dams on the Connecticut river system. In other words, a lot of stuff I know next to nothing about. But it just felt like such a usefulway to spend a Saturday. For one, the format. The CHA often feels like a duty, not a pleasure; the ASEH is a pleasure, but kind of overwhelming; smaller conferences like Canadian Studies or Atlantic Canada Studies are convivial, but eclectic. So for Goldilocks here, the NACEHF was perfect: interesting but relevant diversity with a generally common language and geography; a (literally) readable number of papers with a group small enough to be comfortable, where nearly everyone could ask questions in the entire hourper panel allotted to discussion, but big enough that you got feedback from all corners, and without that awkward the panelists-outnumber-the-audience experience. The practice of workshopping mostly complete and publishable essays – rather than, as Brian memorably put it, “having 20 minutes to say everything you’ve ever wanted to say on this topic” – just seems a much more productive use of time. that you can hang out in the same room for a whole day, and there’s no blood – ? Are you saying that historians are cool? Because I’d like to hear that part again. Second, the company. As someone who sometimes feels like a bit of a lighthouse on the coast, it was encouraging to find myself in a room full of other Easterners, both old friends but also complete strangers who nevertheless know where Nova Scotia is and, you know, care. It felt like going next door to meet the neighbours, and discovering you follow the same team (which we do: the Bruins). 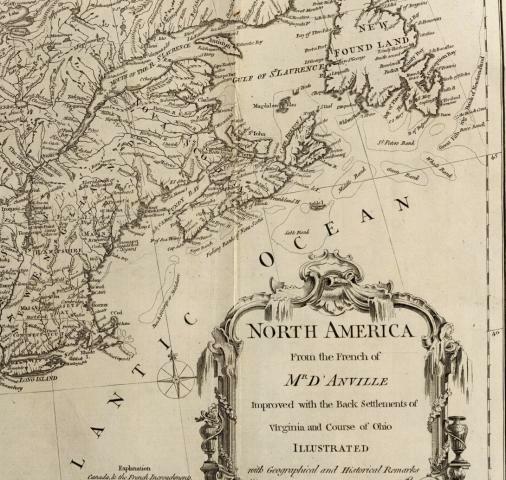 As a few people pointed out, the field of environmental history in North America has – with some obvious and notable exceptions – often been written in terms of what we have learned from the west, more than the east. The University of Massachusetts Press has launched a new series for northeast environmental history, but this wider conversation also lets us see the impact the region has had on national and continental ideas and practices. We think a lot about scale in environmental history, and this felt like the right scale: big enough to see patterns, and to matter; close enough to feel real. And it offers something new to NiCHE, this cross-border/seaboard overture amongst its otherwise all-Canadian regional networks. So watch for the next northeast forum in Halifax in October, 2013. Meanwhile, I’m writing this in Logan International Airport, as one flight after another is coloured Cancelled orange, hoping Hurricane Sandy knows that I’m an environmental historian and an environmentalist, damn it, cuts me some slack, and lets me get home so I can get to work incorporating the feedback on my essay on Grand Pré.